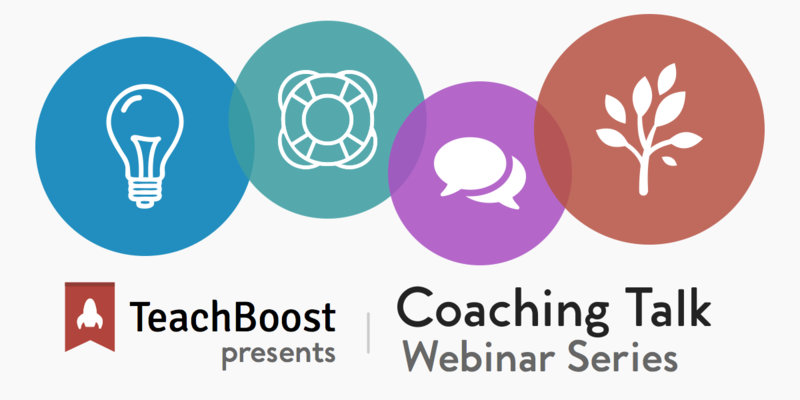 TeachBoost partnered with Ellen Eisenberg and Kristin Van Deman for the final webinar of our 2018 coaching series on April 25th, 2018. Our fourth—and final—Coaching Talk pairs experienced coach and mentor, Ellen Eisenberg, and instructional coach, Kristin Van Deman, to discuss how experienced coaches grow their practice. You'll learn their tips for seeking additional support, ideas for growth, how to build coaching networks, and more! The webinar will be approximately 1 hour long with plenty of time for Q&A throughout the presentation and at the end. Don't forget to bring your own techniques and questions and learn tips, experiences, and best practices from your peers! Ellen Eisenberg is the Executive Director of the Pennsylvania Institute for Instructional Coaching (PIIC), author, and a frequent guest blogger of TeachBoost with years of coaching experience. Kristin Van Deman, instructional coach from Aurora Public Schools in Colorado, "teacherpreneur", TeachBoost guest blogger, and known to many of you as Ms. Houser. For additional coaching content be sure to follow us on Twitter, join our weekly coaching newsletter, watch previous webinars, and subscribe to our blog!